It is clear crystal. You have seen it a lot as jewels. 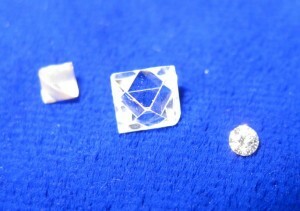 Single crystal diamond is essential material for superfine processing tools. 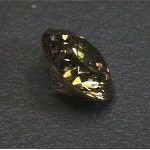 Yellow color man-made diamond is used for industrial diamond, too. 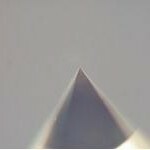 Single crystal diamond has a 10-to-1 advantage over other materials at thermally, technologically, mechanically, and electrically parts. And it is also superior to corrosion resistance. 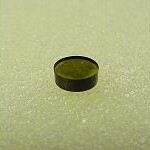 PCD is basically made by diamond powder and metal binder with high-pressure(5GPa) and high-temperature(1500 degree/Celsius). 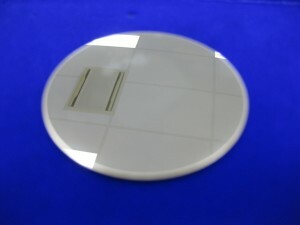 PCD’s hardness level is less than single crystal diamond, but it has workability than single crystal diamond. 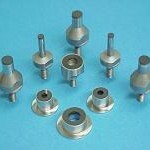 And PCD has also conducting properties, then PCD is used for abrasion-resistant parts and others. 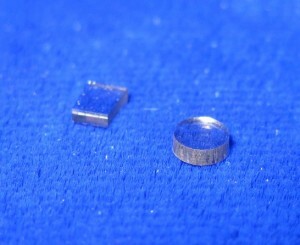 PCD is softer than single crystal diamond, but still 4 times harder than WC (tungsten carbide). 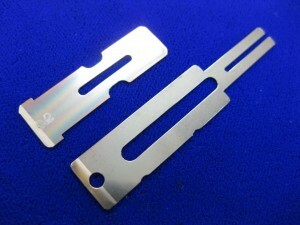 About abrasion-resistant, PCD is several times superior to WC. 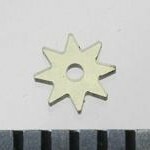 Abrasion-resistant parts , mass production parts, wire, nozzle, and atomization parts. Chemical vapor deposition of diamond has received a great deal of attention in the materials sciences because it allows many new applications of diamond that had previously been considered too difficult to make economical. 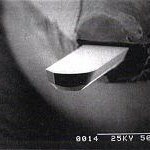 CVD diamond growth typically occurs under low pressure (1-27 kPa; 0.145-3.926 psi; 7.5-203 Torr) and involves feeding varying amounts of gases into a chamber, energizing them and providing conditions for diamond growth on the substrate. DLC (Diamond-like carbon) exists in seven different forms of amorphous carbon materials that display some of the unique properties of natural diamond. They are usually applied as coatings to other materials that could benefit from some of those properties. The hardest, strongest, and slickest is such a mixture, known as tetrahedral amorphous carbon. nonferrous cutting tools, mold, big metal parts and more. Literally, diamond powder is very tiny powder. 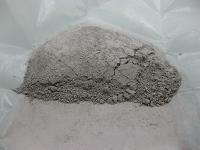 We provide this powder from 0.5 to 34.4 micron meter in diameter. If you need nano-size, it is possible to prepare. Please ask us specific size. This diamond powder is mainly used for polishing.